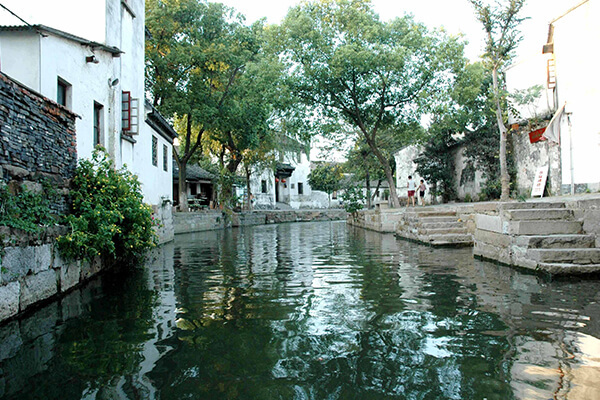 Tongli is well-known all over the world as a “genuine water town, Jiangnan of the old times”, the famous tourist attraction “Retreat & Reflection Garden” has been listed into the World Cultural Heritage by the UNESCO. It is known for a system of canals and has been given the nickname “Venice of the East”. 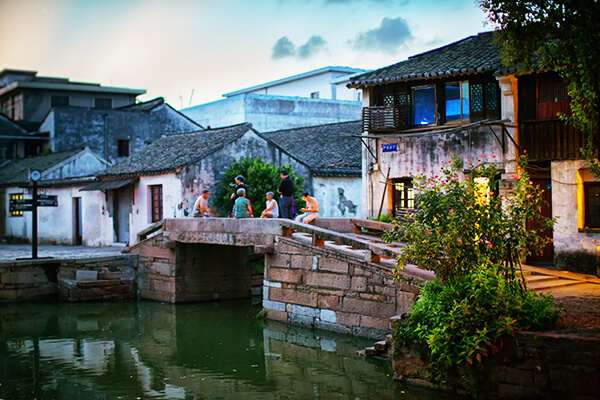 Lying northeast of Wujiang City, Jiangsu Province, 80 km from Shanghai and 20 km from Suzhou, Tongli is an ancient water town with a long history. Boasting beautiful sceneries surrounded by water on four sides. 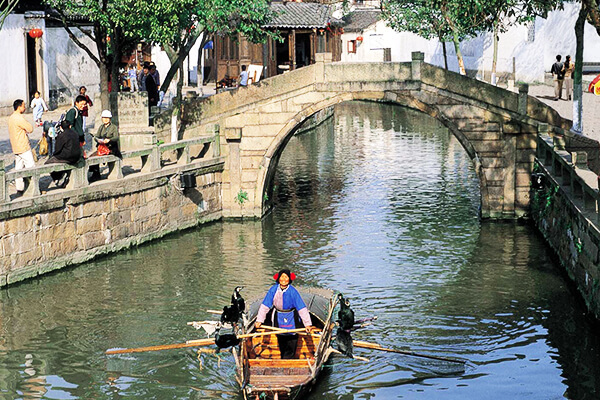 Forty-nine stone bridges in a variety of styles join the seven islands created by fifteen rivers and five lakes upon which Tongli stands. Each bridge has a poetic name, perhaps the most notable are Peace and Tranquility Bridge (Taiping Bridge), Luck Bridge (Jili Bridge) and Lasting Celebration Bridge (Changqing Bridge). These are known as Ternate Bridges as they cross three rivers at their confluence and form a natural ring road. Every household in the town lives by the riverside and boat is the dominant means of transportation. The dwellings in Ming and Qing dynasties are well arranged and bridges dated back to Song, Yuan, Ming and Ding dynasties are well preserved there.